Southwest Airlines Co. will limit customers to only one dog or cat as an emotional support animal, changing its policy after a biting incident on a flight. The carrier follows larger rivals that had altered policies for animals on board as numbers soared for passengers claiming they rely on them. Problems with animals, including a child nipped on a Southwest plane, also have climbed, as have the types of creatures brought on aircraft. Effective Sept. 17, Southwest will limit emotional support animals to dogs or cats, and one per person. The animals must remain in a carrier or on a leash, and owners must present a current letter from a medical doctor or licensed mental health professional on the day of the flight, the Dallas-based airline said in a statement Tuesday. Beyond emotional-support animals, only dogs, cats and, on occasion, miniature horses will be allowed as psychiatric-support animals, Southwest said. They must be individually trained to perform a task or work for a person with mental-health disability. The airline won’t allow unusual or exotic animals on board. 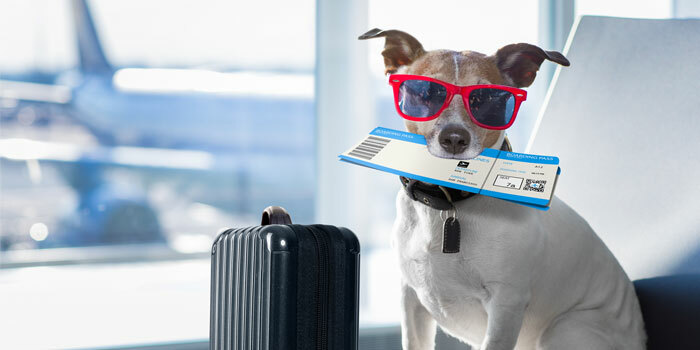 Delta Air Lines Inc. in January said it was flying about 700 service animals daily, up 150 percent since 2015. The company reported an 84 percent increase since 2016 in “animal incidents,” such as aggressive behavior, urination and defecation. United Continental Holdings Inc. also has noted a jump in animals on board from a year earlier and a “significant increase” in incidents.